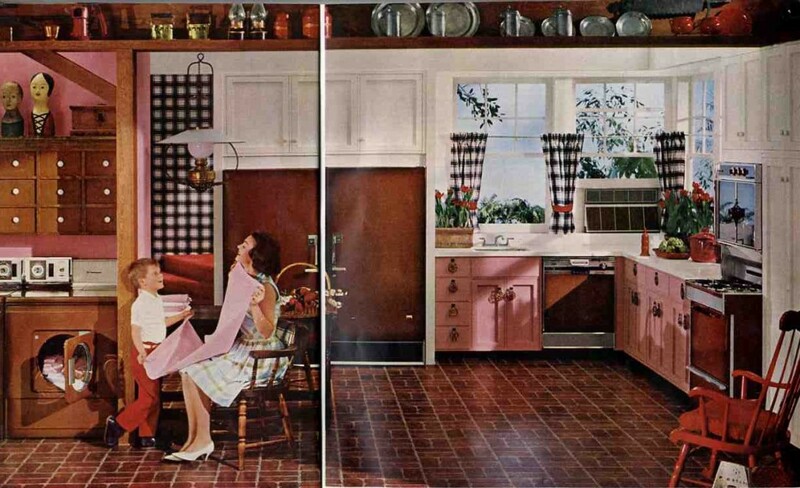 Home » Kitchen Help Category » Brick tile flooring — is it original to the 1960s — and should Marie keep it? Need to pick your brain. We’re in the process of buying a home from 1950. It’s got a lot of original details. I’m trying to figure out if the kitchen floor is original. It’s a glazed brick tile. To me it looks 90s, and I don’t like it… but maybe it is original? My aunt an uncle live in a house built in the early 60s, and it has a similar glazed brick floor in the entry and kitchen. Was glazed brick a midcentury thing? Congratulations, Marie, on the new/old house, and thank you for sending this question. 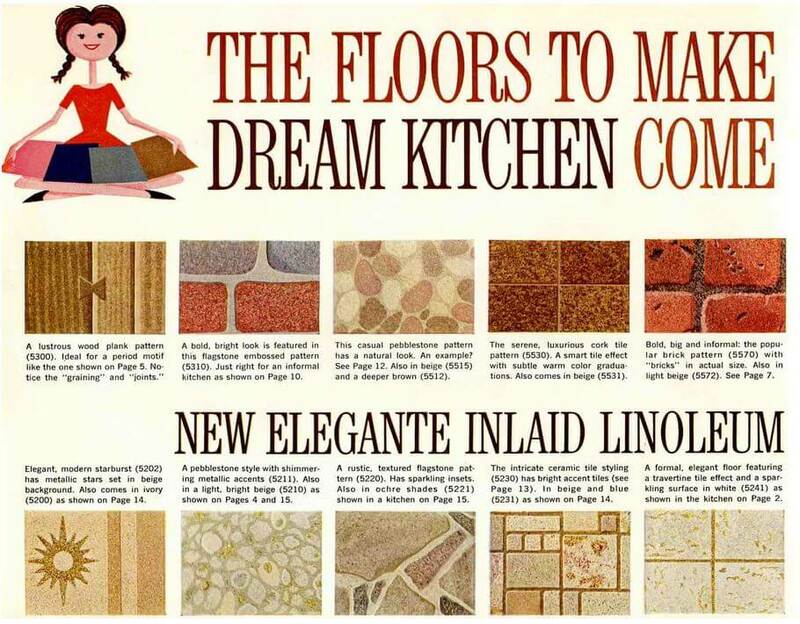 Brick flooring in a 1964 kitchen, from my archives. This is one of my favorite kitchens I’ve EVER show on the blog. 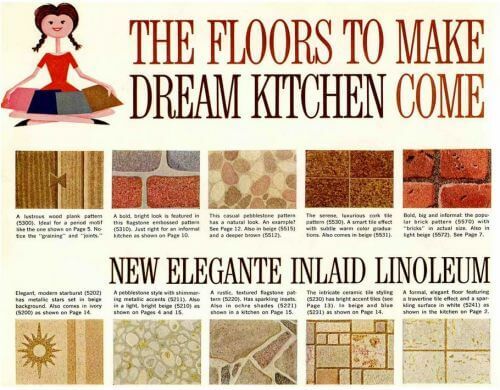 My archives indicate that glazed brick flooring — either with real clay bricks or in a vinyl/asbestos or vinyl/composite resilient floor tile — were used in the midcentury era all the way through to… well, yes, the 1990s. 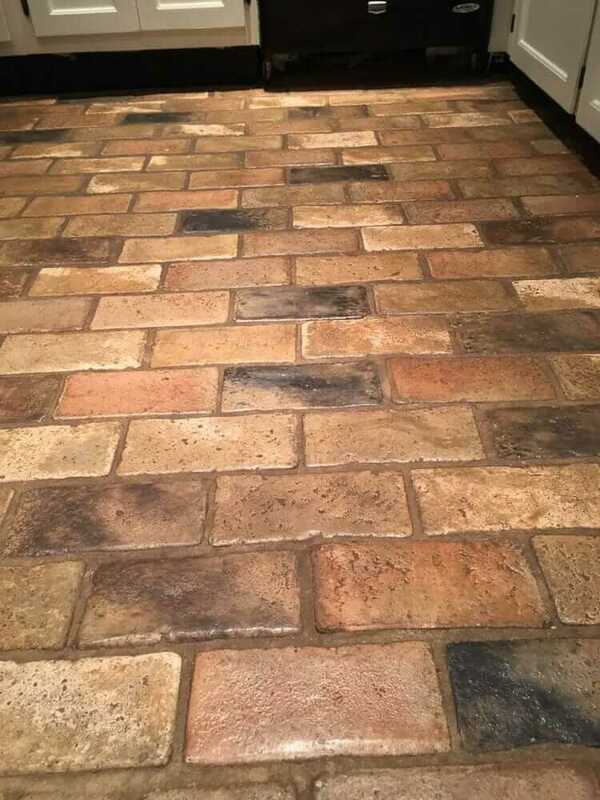 The brick tile flooring in your house could well be original. 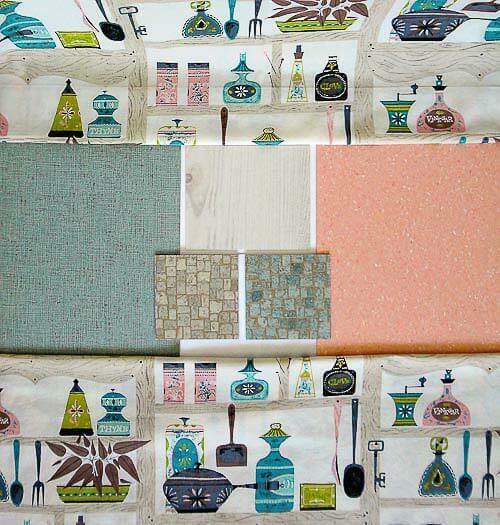 Louisa Kostich Cowan of Armstrong Flooring showed this style of flooring in her sketches. What a fabulous find these illustrations were! Personally, I adore the look. Brick is warm and inviting, and it’s a neutral that can be matched with ‘most any style of cabinetry. One downside to clay brick flooring would be that it could be hard on the back, like any ceramic tile would be. On the upside, though, real clay brick flooring is virtually indestructible — and golly, why wouldn’t you want flooring that would last forever and save so much money never needing to be replaced. Note, the old vinyl flooring also lasted a long long long time, I think — this stuff was made back in a time when “planned obsolescence” was still not necessarily a manufacturer’s de facto mode of operation. That is: Folks expected quality. Folks expected stuff that would last a long, long time — and were willing to pay for it. Should it stay — or should it go? Well, here is my regularly repeated answer: Sometimes we get shocked by an old design, an old look, that we’re not accustomed to seeing anymore. It’s not popular today. It may even be “despised” by the mainstream design world (which wants us to tear out everything old and install the new stuff that They Are Selling.) So because we are are unaccustomed to seeing the old, and because the new is so well-marketed, we decide that we, too, h*** the old. 1963 Arnstrong catalog from my collection. Faux brick looks were all the rage. 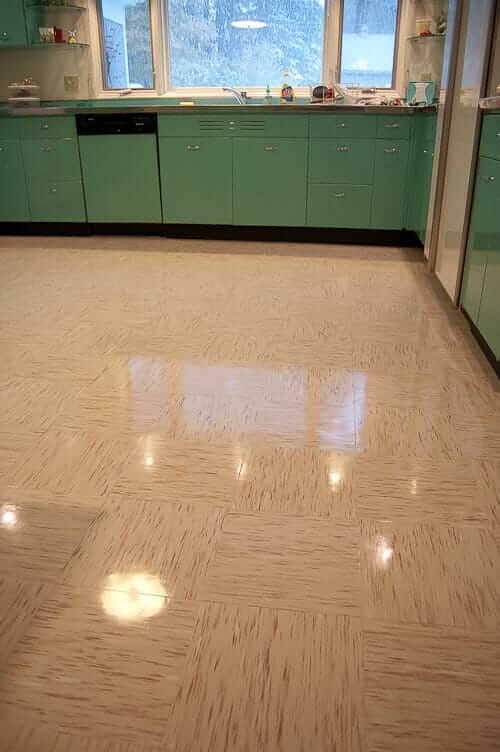 Armstrong #5352 — the most popular flooring ever sold — was still selling. However, if we hit the pause button, and take the time to learn about it, and see how it was used — and loved — historically, we may come to like, or even love, it ourselves. I suggest: Live with it a while before taking costly and irreversible steps. See: Just bought a mid-century house? My 9 tips before you start remodeling + 21 more tips from readers. Azrock Cortina Autumn Haze flooring in four kitchens — any more of you out there? I love it! If it’s well installed, I’d definitely keep it. If a more modern botch job (we had one of those on our kitchen floor), then out it could go. Also here to thank Pam for her reply, both in terms of learning-to- love-it, and the demise of quality, meant-to-last construction. It’s such a bummer to see solid, quality components ripped out of a house and replaced by the (usually) flimsy, poor quality fad of the moment. Great advice, Pam. I agree, keep it. Live with it for a while before you make any decisions. You are never going to find flooring of that quality again. 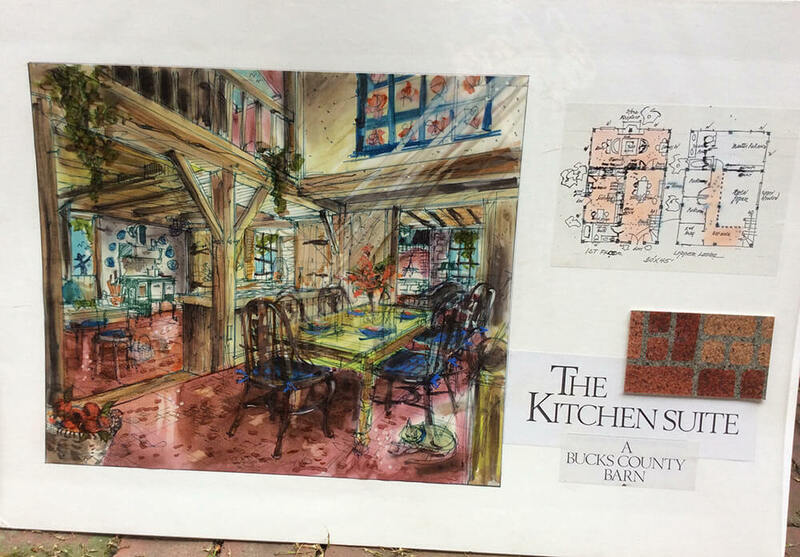 You might grow to love it so much that you design a whole kitchen around it! Then again, you might decide that you can’t tolerate it another minute, and embark on your own Retro Renovation journey. Keep us posted either way! Another plus to brick is it will pick up and blend into the colors around it. If you don’t care for your floor, you might want to think about changing up the colors of your kitchen first. We had what appeared to be some pretty hideous brown brick on our last house, but painting the house a different color toned down the brown and brought out the other colors. The brick looked great!